You've written a novel, polished it, sweated over it, and now you're ready to put yourself out there and get published. There are many other writers out there who are trying to fulfill their dreams as well, so the competition is fierce. The key is to remember that writing is an art, publishing is a business, and if you want to be a published author you must embrace both and do your homework. The road to publication has many routes. You have to choose the route best for you and your manuscript. 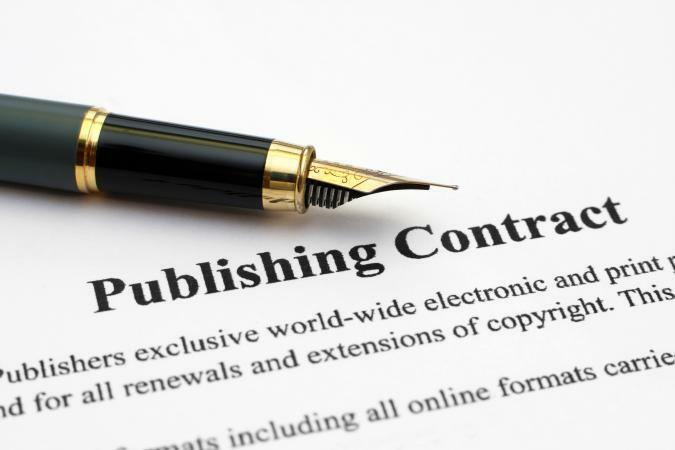 Despite the changes in the publishing market, competition for contracts remains fierce and every publisher is seeking novels with a strong voice, powerful story and compelling emotion. Believe in your book, believe in yourself and you will find your publishing home. People usually start writing a book in one of two ways: pure inspiration or to answer a submission call from an editor, agent or publishing house. If you wrote to answer a submission call, then you already know where you're submitting the novel. If not, you need to answer some questions to start your search. Make sure you understand what it is you wrote, because when you talk to publishers the first question they will have is, "What kind of book is it?" You will have to be able to answer this question with clarity. If you don't already have someone willing to read and evaluate your work before submission, find someone. While you are shopping a manuscript, you want it to be the absolute best. A fresh pair of eyes can help you hone your manuscript. A good critique partner can also help prepare you for critiques you will receive from agents and editors. No matter how great your book is, expect that it can always get better. The goal of publishing is to put the best product on the market, which means revisions and polish. Do you need an agent? Today's publishing market offers you multiple opportunities which will be discussed below. Some publishing houses will not accept unagented submissions unless they have been directly requested when you attend a conference or pitch session. You have several options for agents, but do your homework. Check their websites to see what genres they represent and what they are seeking to represent. If they do not accept not attached files to emails and only accept a query and first three chapters in the body of the email, you need to do that. Request a confirmation of receipt. Wait for the specified length of time (typically eight to sixteen weeks) before contacting the agent about the submission. Do not call the agent unless they request the contact. While doing your research, make a list of five to ten that would be the best fit for you, check who they represent, how many sales they've had and verify they are credentialed with groups like Romance Writers of America, Science Fiction Writers of America or whatever group is specific to your genre. If you have questions or doubts, check Writers Beware for reports of scams and bad agents. Also note, no reputable agent will ever request a fee to represent you. An agent makes money when you make money. It's advisable if you go the agent route to not shop publishing houses at the same time, because you will limit where your agent can shop your book. 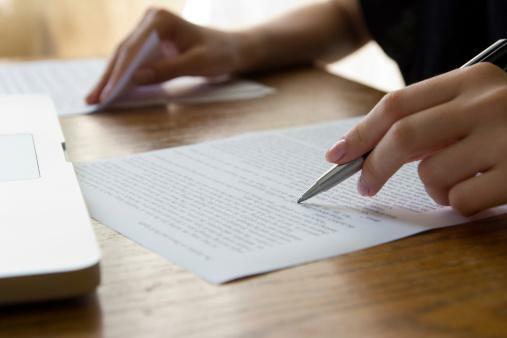 In most cases, a rejection is just that, a final rejection and most agents or publishing houses will not look at the manuscript again unless it has been significantly revised or they have asked you to revise and resubmit. The benefit of an agent is they can usually get your manuscript to the top of an editor's to-read list. The cons are that finding the right agent to work with can take as long as the submission to an editor's pile. You have to choose the best course for you. For example, Carina Press, the digital arm of Harlequin, publishes more than just romance. There is no use wasting your time trying to sell a cookbook to a publishing house that only publishes poetry. You need to pick your targets and focus your energy on publishers who are the most likely to be interested in what it is you're writing. One of the best ways to do this is to pay a visit to your local bookstore. Find books that are in the same genre of the book you are writing, and make note of who published those books. Another idea is to visit the websites of different publishers and look through their catalogs. Make a short list of five to ten publishers that you think would like your book. Locate the contact information on the Internet for the publishers you think might be interested in your work. Review their submission guidelines. Smaller publishers will sometimes allow writers to submit manuscripts themselves without having to go through an agent. If the publisher is larger and expects to receive submissions through an agent, you might have to include that step in your process. Finding an agent involves writing the agent a short cover letter that explains your project along with a sample of your writing. Websites like writers.net have discussion boards where writers discuss their experiences with agents and help put one another in contact with people who can help. Unless you are extremely lucky, you will likely receive a number of rejections when you start sending out your work. Don't be discouraged. This is part of the process. What you want is to receive a response that suggests certain revisions. This means that the publisher likes the basic idea of your book, but might see the final project somewhat differently than you do. At this point, you enter into a creative relationship with the publisher. While you don't want to completely cave in on your original idea, you should be open-minded and listen to what people have to say, particularly when you are trying to get your first book published. Any positive response is good, so keep all your options open. During your submission process you may receive a note from an editor or an agent asking you to make changes to your manuscript. This is a positive step, however, be aware as you review the requested changes and make them that a revise and resubmit does not guarantee you a contract. In some cases, you may receive two or three revise and resubmits and still never receive a contract. You will need to decide the best course of action and how comfortable you are with the changes. It is okay to decide that you cannot make the requested changes and continue your hunt elsewhere. It is also okay to decide that you want to do it. In some cases the revise and resubmit is a test to see if you are willing and able to work with the editor and other times it is because the editor or agent understands the market. Independent publishing is a thriving market that provides an opportunity for all authors to see their work on sale. However, before you choose the self-publishing route, you should take the time to have your manuscript professionally edited and purchase a cover that reflects the work. These can both be expensive if done correctly. Also, once you have self-published you will make a higher royalty rate than you would with a publishing house, but you must fund all the basic costs for marketing and purchase your own print copies for sale. 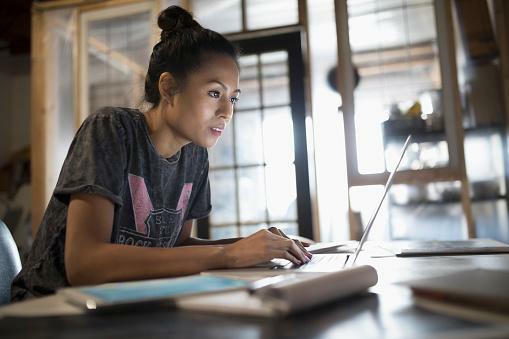 To get a better idea of the ins and outs of self-publishing, CNet's David Carnoy compiled a solid list of 25 things you need to know about self-publishing before you decide to do it. Some authors, such as E.L. James, have had their self-published books purchased by New York publishing houses and re-released to great success. However, this is not a guaranteed way to get attention from the big publishing houses. There is no one true, certain way to get your book out there except to stay determined and keep writing. While you are shopping one book, you should be working on your next project. Remember, J.K. Rowling was rejected multiple times before a publisher took a risk on her Harry Potter series. It takes years for some people to get their first book published. Some of the most famous writers endured hundreds of rejections before they got their first break. The moral to the story is to stay persistent and not to give up. If your book has merit, you will eventually find someone who will be willing to publish your work.